Widowed after a few hours of marriage, Lady Victoria Haveston finds herself to be an heiress—if she meets the stipulations set forth by her departed husband, the Duke of Norwich. Forced to live in Scotland with the Duke’s sister, Victoria finds herself at the mercy of a shrew, trapped in a broken down manor, and desiring an Earl that makes her blood burn hotter than any man before. After inheriting a crumbling estate, Connor, the Earl of Lynwood, is determined to make it thrive once again. When his uncle passes away, thrusting him with the responsibility of housing his widow, Connor finds himself bewitched by the beautiful, but spoiled woman. While fighting his desire for her, he comes to admire her spirit and tenacity, finally realizing that she is the only woman who will ever touch his heart. With scars from their past, Connor and Victoria struggle to overcome the fears that keep them apart. 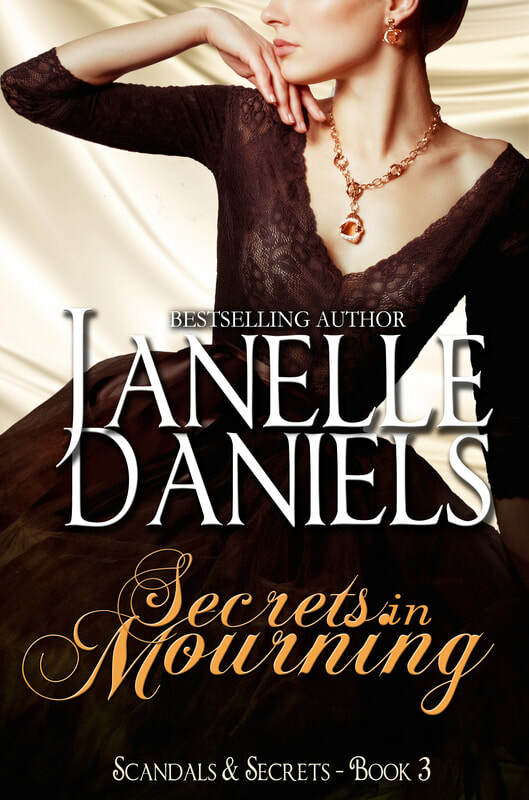 But as the end of mourning draws near, will they be able to overcome their doubts, or will their love remain just another secret in mourning?